Passover is More Than You Think; Pesach is More Than You Can Imagine. The Shabbat prior to Pesach (Passover) is called Shabbat HaGadol (the Great Shabbath). 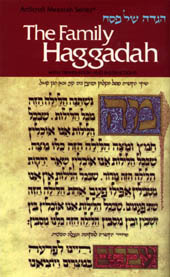 The word HaGadol occurs 26 times in the Torah, the same numerical value of the Tetragrammaon (YHVH) and 18 of those times the word HaGadol (HGDL) is written with the cholam (vowel) instead of the Vav, giving it a numerical value of 42, the same as the 42-Letter Name of G-d. The number 18 is the well-known numerical value of Chai (life) and not coincidentally the square root of 18 is 4.2426, with 424 being the value of Moshiach Ben David. And all this is only to provide us with clues. The real significance of this is that Shabbat HaGadol acts as a gateway to Pesach, much as the Gate of 42 is the final gate before entering the Holy of Holies in the Holy Temples, including the Future Holy Temple. This gateway to Pesach is more than a metaphor. According to the sages the first and last verses of the Torah link together seamlessly to form a complete cycle, or circle, which is why they are read together contiguous every year around the holiday of Sukkot. This analogy of an annual cycle is strengthen by the design which splits the 19 words into the 7 words of the first verse and the 12 of the last. 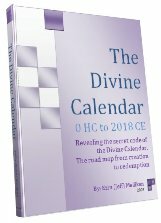 We realign our 12-month lunar cycles with our solar ones in cycles of 7 and 19, and this keeps the calendar progressing at an even pace and guides which portions of the Torah are read in which week in any given year. One Shabbat not long ago I challenged my 8-year-old daughter to figure out which letters of the Hebrew alphabet were not included in the Torah’s first verse. She promptly figured out all 11 of them, and then added, “Why don’t we check the last verse too.” Since I consider EVERYONE to be my teacher, especially my children, we did. Lo and behold, there were 20 letters utilized and only 2 that weren’t: Pe and Samech. Samech and Pe spelled Saf (SP), as in end, threshold, but not a word we find in the Torah per se. Nevertheless, there are 12 days of preparation, when we read a special portion of the Torah daily, leading to the 7 days of Pesach, which is spelled Pe, Samech, and Chet spell Pesach (PSCh). The end of the Chet(Ch), which according to the sages gets circumcised at Pesach and become a He(H); hence chametz (ChMZ) is transformed into matzah (MZH). So joining the Chet to the Pe and Samech, left 19 letters and begged the question: Why were these three letters isolated? Why was Pesach considered outside the realm of the annual cycle? It is because the 7 days of Pesach are actually another dimension entirely, and once we climb the 15 steps of the seder to enter it, we are beyond the earthly realm. This is why there is another seder at the end of Pesach, to ease our descent back down. This is also why all the cleaning for Pesach is essential. It’s a cleansing, or purification, process that prepares us to align ourselves with the energy of this higher dimension. Pesach is a gift, the diamond set in the ring opposite the cyclical closure of the Torah’s first and last verses around Sukkot 6 months earlier. The exodus from Egypt brought the Israelites to another dimension as well, a higher state, a place of Keter as indicated by the 620 letters in the 10 Commandments. They too left all there chametz (personal garbage/klippot/negativity behind) and went through a final cleansing as they passed through the Sea of Reeds. Getting rid of all the chametz in our lives is about disconnecting from the physicality; it’s a preparation for the time of Moshiach (the Messiah), which B”H will be upon us very soon. For nearly 3330 years, ever since the exodus and the reception of the Torah at Sinai, we’ve been rehearsing every Spring for the arrival of Moshiach consciousness. Except, most of us have treated it as Biblical reenactment, or even as a family gathering. It was nice, but we missed the point. This time around, once we cross over, we should find (feel) joy in everything. Each letter and word of the Passover Haggadah should ignite us with happiness. And every moment in this paradisaical dimension should feel, well, like Heaven. To the extent that it doesn’t reveals how much more cleansing we need to do in order to see through the darkened veils. When we take away these 7 days of the year from the annual cycle of 365, we’re left with 358 days and 358 is the numerical value of Moshiach. Likewise, the 210 years of exile in Egypt plus Pesach (PSCh of numerical value 148) equals 358. So let’s all scrub and clean and cleanse the physicality out of our lives, so that we can climb easily into this higher dimension called Pesach, experience the otherworldly pleasures within, and after 7 days we can return from this vacation refreshed and rejuvenated. Or better yet, return without descending, bringing the Moshiach consciousness back with us, like a cloak of dew upon the spring grasses, helping to prepare our world for what is to come. Pesach is as much a community event as it is a personal one and it’s our responsibility to bring back and spread that consciousness for the sake of our brethren. On Sukkot we make a space for that world within our own and connect to Keter. On Pesach (PE SMC ChYT) whose letters when spelled out with the kolel have the same numerical value as Keter, 620, we leave our world and ascend to that lofty dimension. 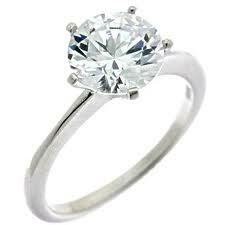 This year, as we circle the stellar ring, let’s grab that brilliant diamond and bring it home. Author Jeffrey MeilikenPosted on April 4, 2012 August 2, 2018 Categories RevelationsTags 18, 26, 42, 42-letter name, 424, Future Holy Temple, keter, Moshiach, pesach, Shabbat HaGadol, sukkot11 Comments on Passover is More Than You Think; Pesach is More Than You Can Imagine. We’ll get to one of the deepest secrets of all time, beyond the Holy Grail, beyond the knowledge of even 33rd degree masons, or anything Dan Brown can come up with, in a couple days, but first I caught Jon Stewart poking fun at Obama winning the Nobel Peace prize the other day. He mentioned that the first thing Obama did after winning the so-called prize was order NASA to bomb the moon. There is near universal disbelief that President Obama was given this formally prestigious prize and some have even pointed to this as somehow a sign of the end of days, but what is more interesting is the not-so-coincidental bombing of the moon. NASA bombed the moon in order to release frozen water–a science experiment. But this attack on the moon just happened to occur on Hoshanna Rabba, the night we were to have seen our shadows by the rays of that moon. Hoshanna Rabba takes place on the 7th day of Sukkot, the festival that links the shechinah with Hashem through the Sukkah, the shakings, and the 70 sacrifices. It is also a festival of water, when we release the water to spread joy (mercy) in the world. I can’t imagine there was some dire plot, but the two events were obviously spiritually connected. And the festival of water is timed to occur a couple weeks before the anniversary of the Flood, so is this too connected. What does this mean? What’s the symbolism? Who knows? I’d like to hear your thoughts. More important are the warnings being received that there is a vast ominous storm approaching and that it’s global. Will these be literal and manifested as vast dark hurricanes, or financial, or caused by a new killer computer virus? It’s almost irrelevant because they are all being caused by our consciousness–our negative consciousness to be more accurate. A prominent Moshiach blog just signed off and I’m afraid that even within the impending gloom there is a distinct lack of faith taking hold. The warnings have been given, but they appear to have been overlooked by the vast majority, or at least forgotten all too quickly. We’ve been given tools, spiritual tools, and a responsibility to use them by opening our hearts to one another in order to reunite the Shechinah (our world) with Hashem (YHVH), the upper spiritual world. With the Tree-of-Life consciousness practically at our fingertips, the veils of illusions will only get thicker, and the wake-up calls only louder. Don’t get fooled. Remember our brethren 3330 (66.6 jubilee) years ago, who couldn’t see past the gloom and failed to wait the last 6 hours for Moses’ return. Let’s not make that same mistake. Stay tuned to the promised secret. 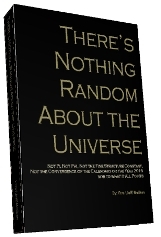 Author Jeffrey MeilikenPosted on October 19, 2009 October 22, 2009 Categories RevelationsTags Barack Obama, Dan Brown, flood, holy grail, hoshanna Rabba, Jon Stewart, masons, moon, NASA, Nobel Peace Prize, sukkot, United States3 Comments on The Coming Storm!